Hello Everyone, I can’t believe that it’s the end of July. 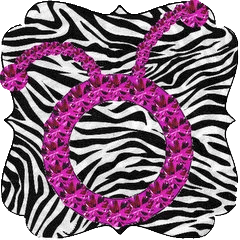 My Daughter starts her senior year in just a few weeks…Yikes! 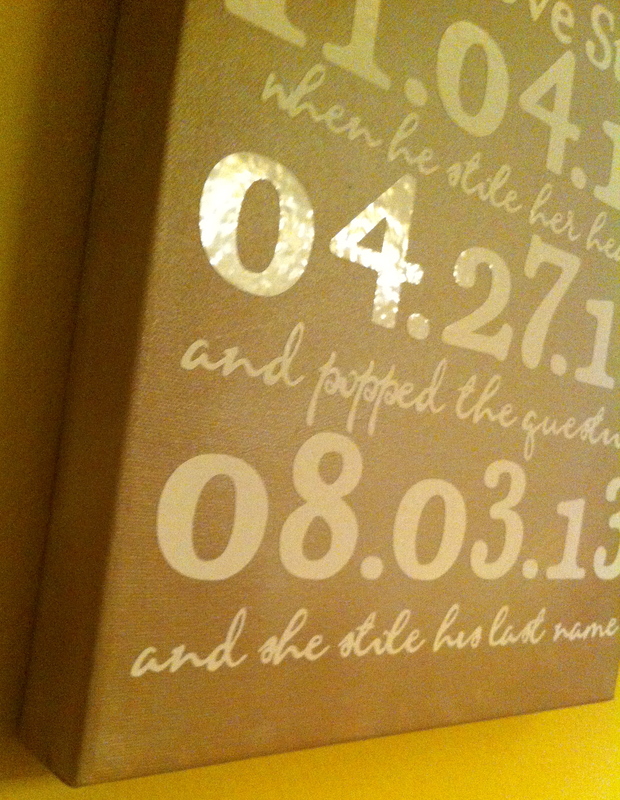 I made this wall art for my Godson’s bride to be shower gifts. I got the Idea from one of my pins from Pinterest. I’m loving the vinyl! 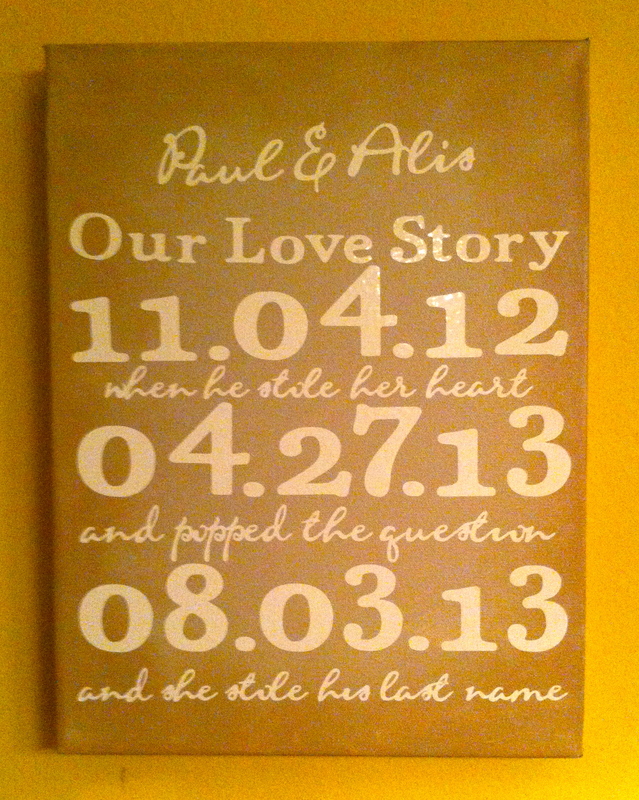 Here I used white vinyl on a 12″x14″ canvas. 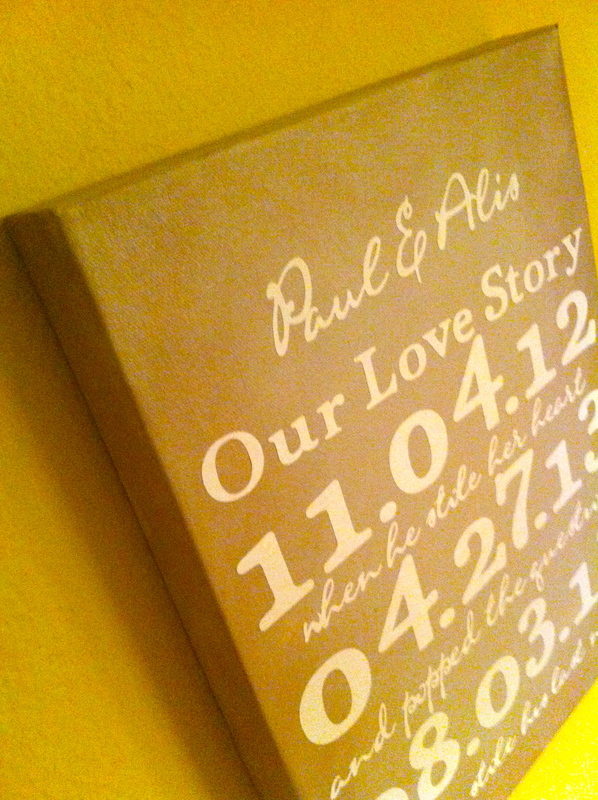 I painted it with Martha Stewart’s Lake fog acrylic paint. I inked the edges with Tim Holtz, vintage photo distress ink. 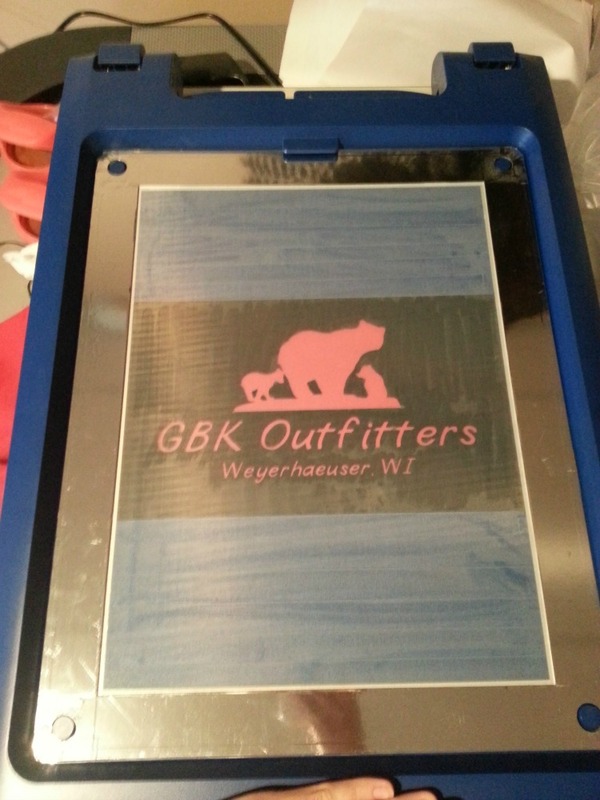 Below is the screen shot of the set up in the craft room. 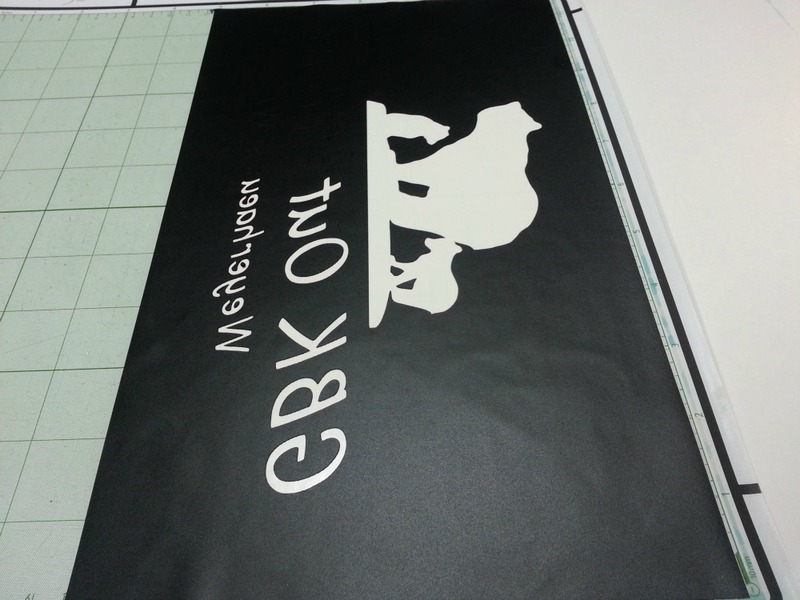 Originally I thought of cutting it out in two colors, hence the two colors and two mats. I used the gypsy font and art philosophy font. I also used the 12×24 mat. I cut it out, weeded out all the little bits. It takes a bit of time and then added it to the canvas. I made another one for my niece and she loved it. Hi! Brenda here from Random Thoughts of a Scrapbooker. 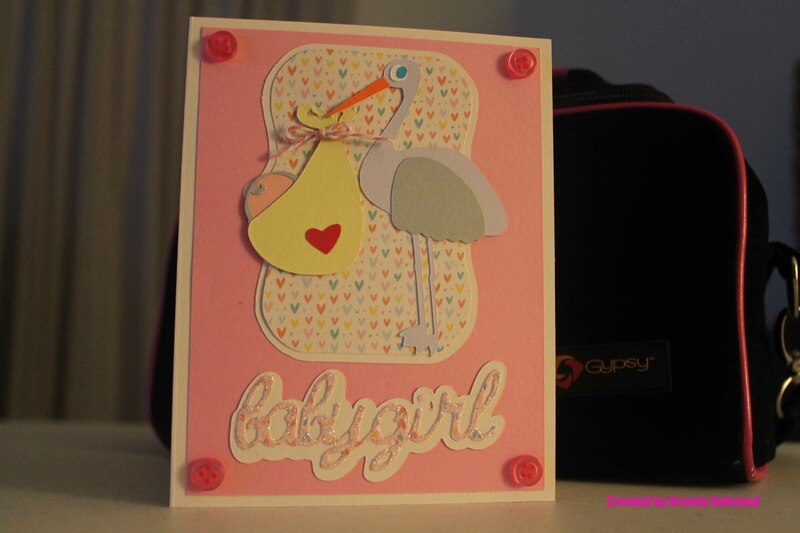 For today’s Sentimental Saturday post, I’ve made a baby girl card in anticipation of the birth of my granddaughter. This is an A2 size card and measures 4 1/4″ x 5 1/2″. 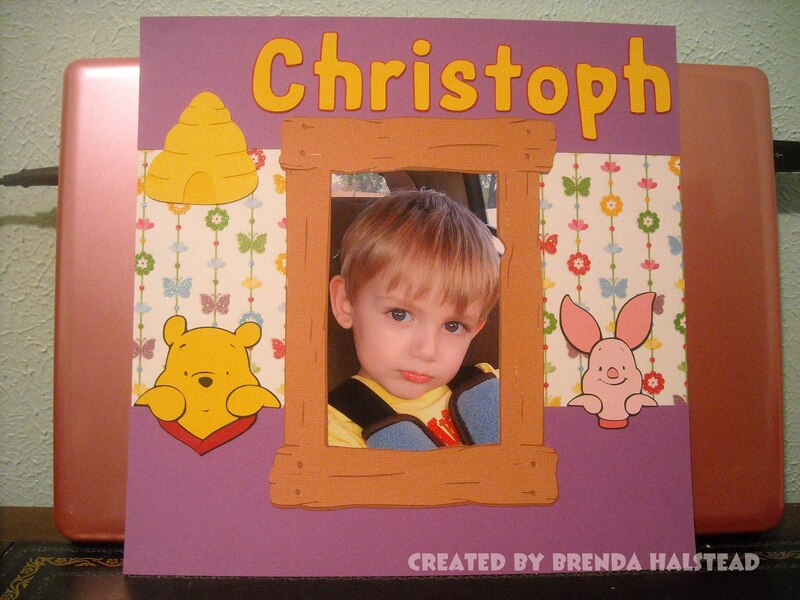 The base was cut from an 8 1/2″ x 11″ ivory cardstock. I cut the cardstock in half, which gives me two bases. 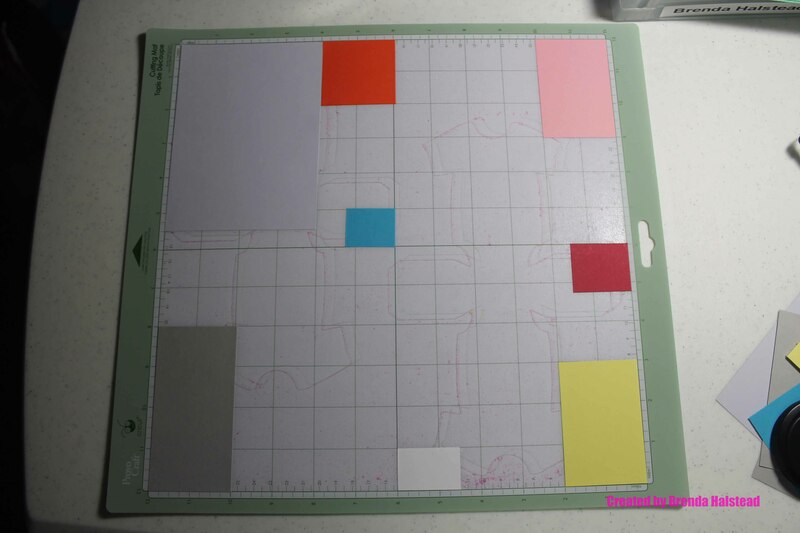 The pink layer is cut at 4″ x 5 1/4″. The background behind the stork was cut at 4″ using the oblong and shadow cuts on the Elegant Edges cartridge (page 33). The patterned paper was something I had in my stash. Baby Girl phrase and shadow were cut using the Tiny Treasurers cartridge (page 68). I then used pink glitter on the baby girl phrase to help it pop more. The stork and baby were cut at 3 1/2″ using the Tiny Treasures cartridge (pages 54 and 55). 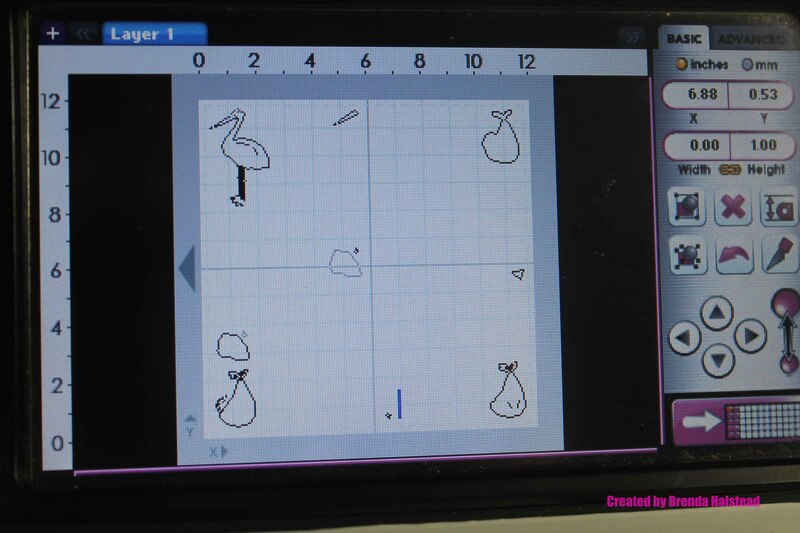 Here is a screenshot of my Gypsy showing the stork and baby cuts, as well as a picture of my papers on my Cricut mat. 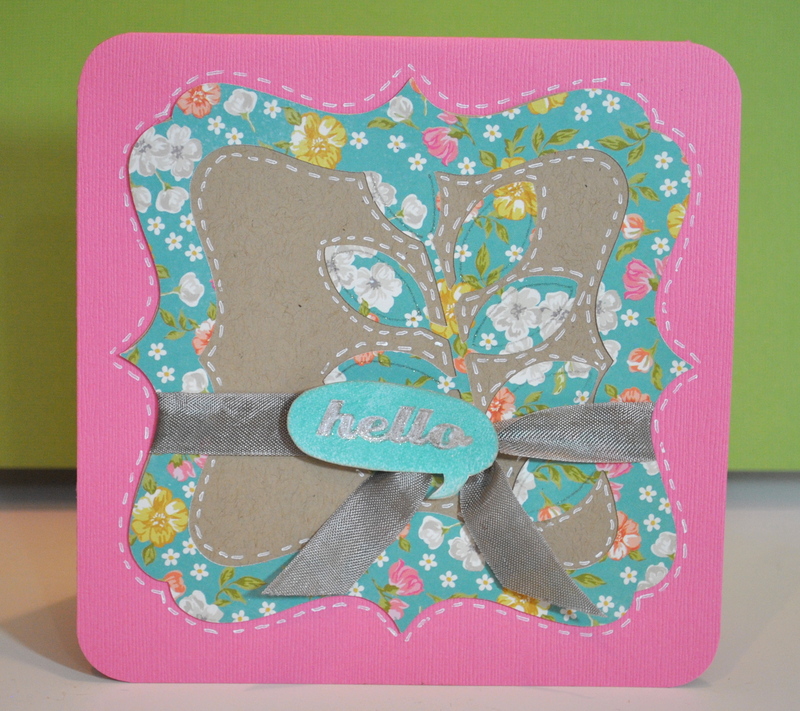 I completed the front of the card with four pink buttons from a Cute As A Button kit I bought from HSN. I also added Queen and Co. twine to the top of the blanket. 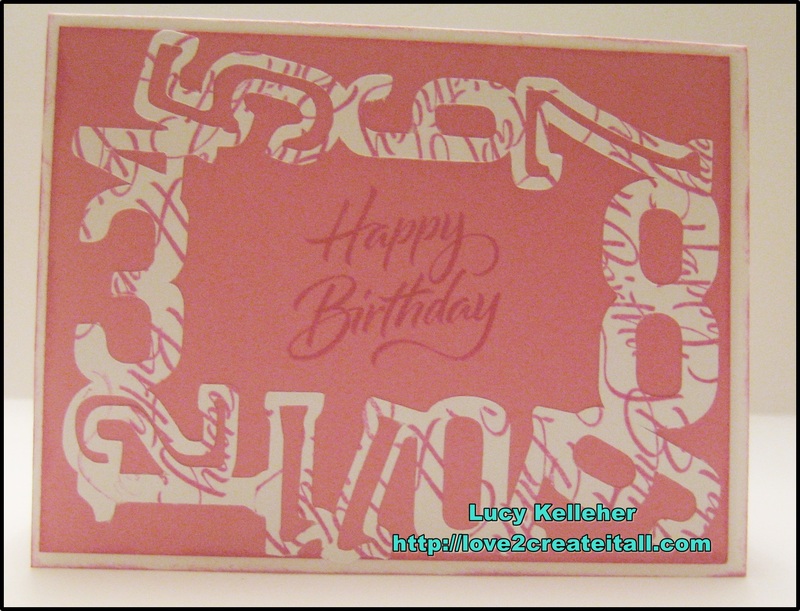 For the inside of the card, I cut the pink cardstock at 3 1/4″ x 4 1/2″, the patterned paper cut at 2 3/4″ x 4″ and the white cardstock at 2 1/4″ x 3 1/2″. I added a Queen and Co. heart gem. The sentiment is from the Close To My Heart New Arrival stamp set. 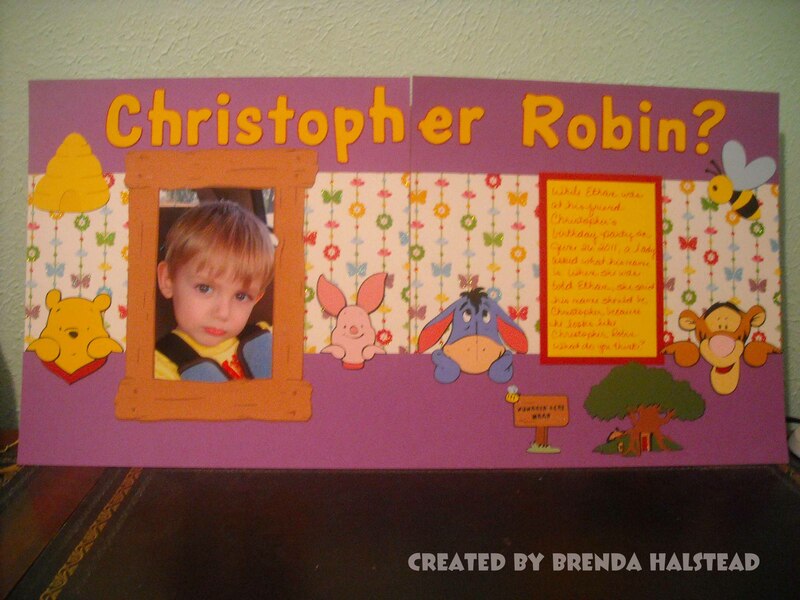 All solid cardstock is Recollections cardstock. 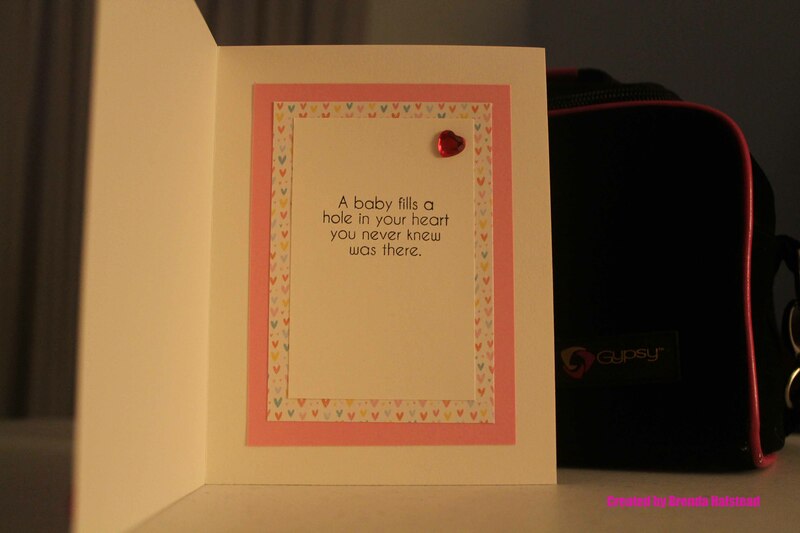 I hope you like my baby girl card. 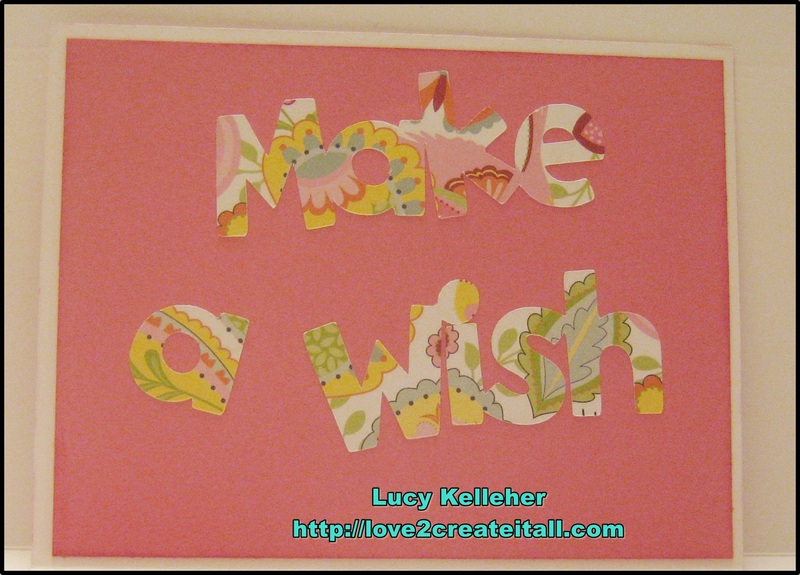 Please visit my blog at http://happyscrapper64.blogspot.com to see more of my projects. I’d love to have you visit. Hi all! Michele Green here from www.michelegreen.com. Today I am sharing with you my recent experience with the Yudu machine. My husband has a family member who is starting a business of being a hunting guide. As a surprise, my husband wanted to give him some t-shirts. I will tell you that we were mightily intimidated by this machine and all of it’s instructions. My husband started out by watching some YouTube videos of the process and picked one he wanted to follow. He started the process of the emulsion application and drying and it was a failure. The emulsion wasn’t drying properly and it was frustrating to say the least. I began researching other ways to use the Yudu and I remembered that a crafty friend had used hers successfully a lot of times. I found this excellent tutorial HERE (down at the bottom of this post) on her blog, With Glittering Eyes. We followed it almost exactly so I’m not going to rehash every step here but I will show you some pictures of along the way. Nadia is a genius! The next step was to weed out all of my design. Be careful to not throw away the middles of the e’s and other vowels! Then we applied to the vinyl to the underside of the screen and put painter’s tape all around it to seal it in. Anything that is not blocked with get ink on your t-shirt. 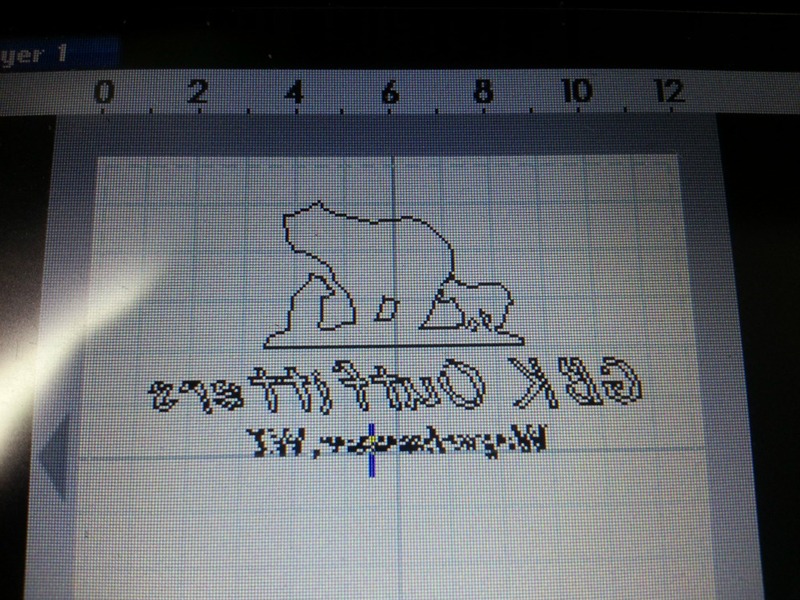 The only part left open for ink to go through should be your actual design – in this case the bears and lettering. This is what the screen looks like when it is on the Yudu (red shirt underneath). I don’t have pictures of us doing the screening because for us it was a two person job. I’m not sure if it’s just our Yudu or all but the top didn’t stay all the way down so one person held the top down while the other pulled the ink through. We used official ProvoCraft Yudu black ink. The first one took a lot of ink to get the design onto the shirt but we also think we were losing a lot of ink onto the sticky side of the painter’s tape. Everything after that first one went well. We printed eleven shirts and didn’t have any problem with the vinyl. 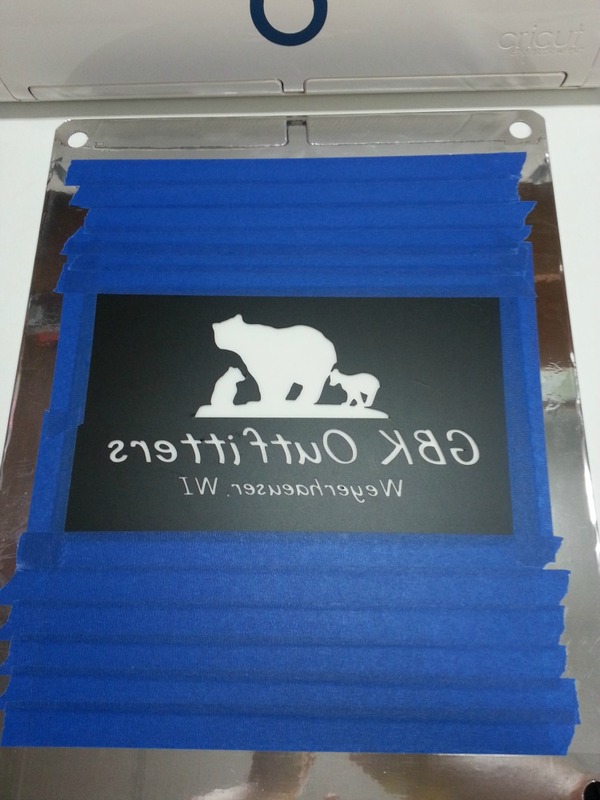 The best part was clean up – just pull all of the vinyl and tape off and rinse the screen – done! No emulsion to worry about getting off. 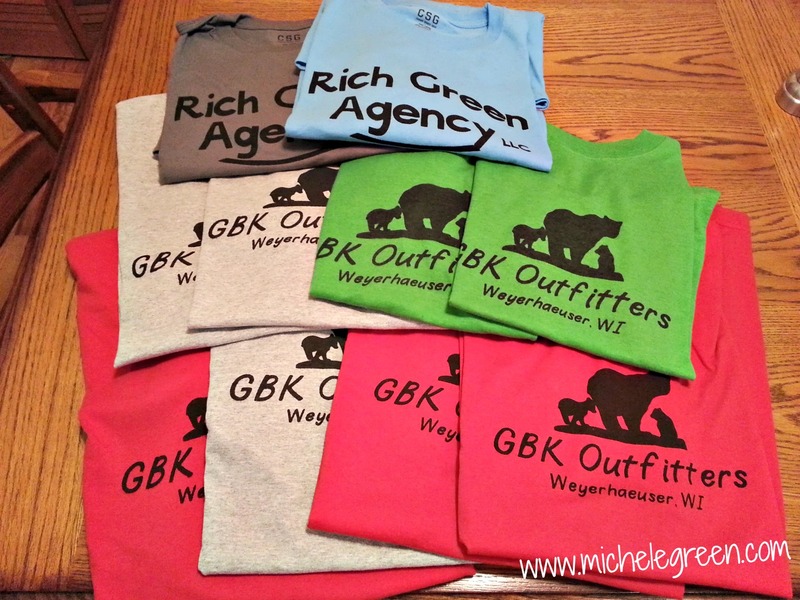 After the t-shirts had air dried while we cleaned up, I heat set them with a hair dryer first. Because this was our first attempt and we were giving them to other people, we also then ironed them for 6 minutes each. My husband kept one and we have washed it multiple times and the ink has stayed put and has not faded at all. Here are a majority of the shirts we made. We did all different colors. 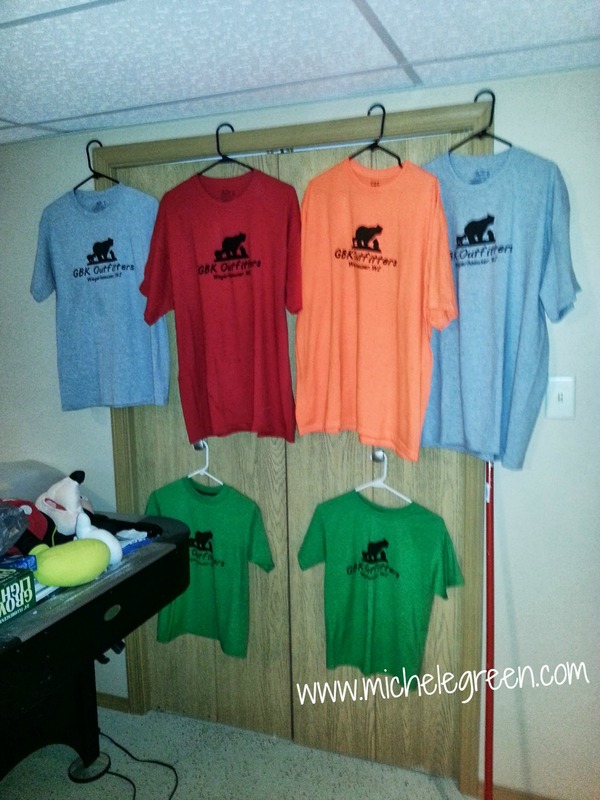 The two green shirts are little kid shirts! The Yudu sure was scary with the emulsion but the vinyl was a cinch so I wanted to share that with all of you! Thanks for stopping by today! Hi ~ Lori here from ScrappinMyStressAway and I have some Bunny Love to share with you today!!! This is my beautiful niece and her bunny on Easter this year. I have all boys so I don’t get to create a girly layout very often, but I make sure to go girly for Easter each year!! 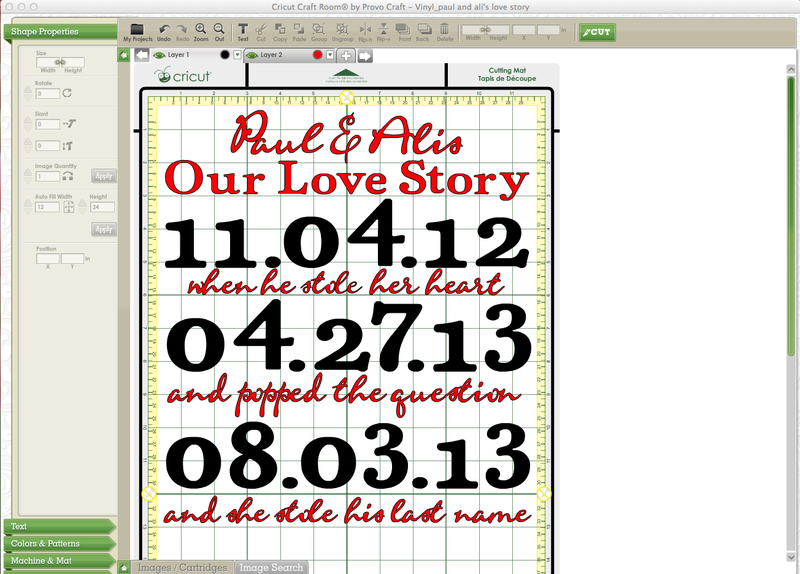 I am excited to share my layout at Cricut DIVA today!! I started out putting two 4×6 rectangles on my gypsy (to represent my photos) overlapping them the way I planned to do on the page. I opened another Layer and grabbed this scallop shape from Artiste. I sized it to 11.07 inches. I wanted a border punch look but honestly don’t have the patience for the actual punches!!! Luckily, MS Elegant Cake Art cartridge has several borders that are just like her punches. I welded three of these together sized to 1.10 inches. You will notice on my layout that the cuts inside the scallops did not cut out. I was having trouble with this paper as the back side has a glittery flower pattern on it. The paper kept slipping, so I just hid the inner cuts after ruining two cuts!! I added this doily on another layer. This is also from Elegant Cake Art and is sized to 7.82 inches. I opened up another Layer and positioned my title where I thought it would go. The font is Elegant Cake Art and the letters are sized to .77 inches. I used the negative piece of paper as a template and adhered the letters down on my page. I ended up moving my title to the top because I wanted ribbon to go right where I put the title!! No problem, just used my cricut spatula to carefully peel the letters up!! 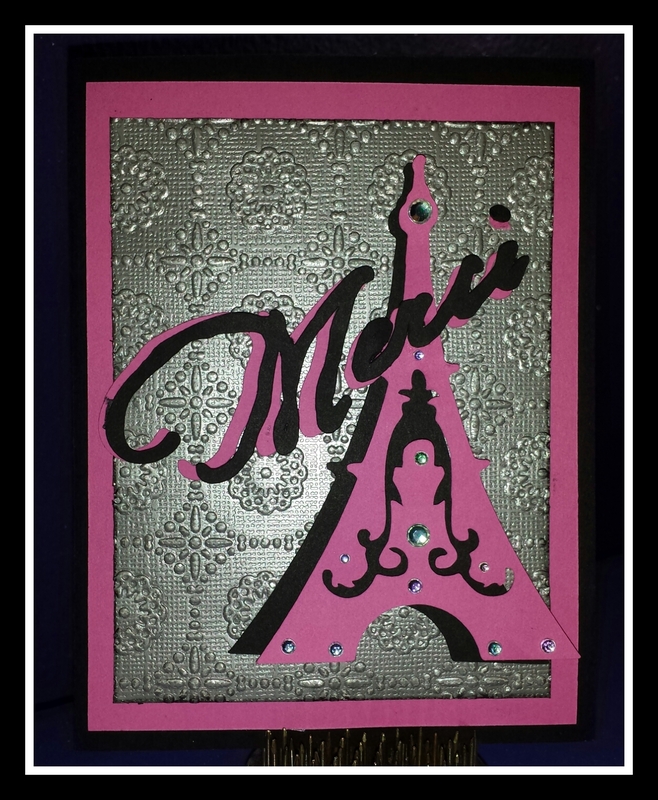 I inked the white photo mats, scallop background piece and doily with hot pink ink. I needed some flowers!! I used Mother’s Day Bouquet for my flower shape. I cut the flower out five different sizes ranging from 1.18 – 2 inches. 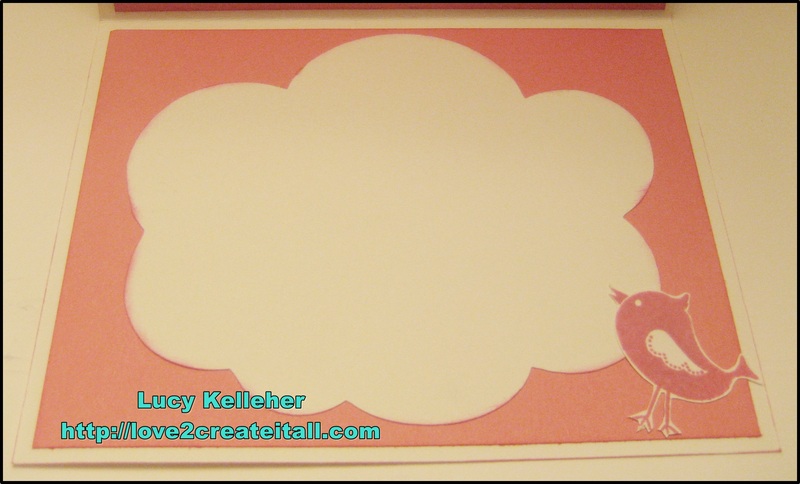 I used two shades of pink cardstock, as well as the paper I used for the scallop and the border. I inked the edges with the same hot pink ink I used for the background pieces. I used my stylus to curl up the petals. I adhered the layers together with glue dots and put a clear gem in the center. I put in three butterflies. These were used with Square 1 Masterpiece adhesive back fabric and you can see how I made them HERE. Here is my title at the top and a butterfly in the corner of the photo. 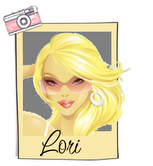 Beautiful layout of a beautiful girl!!! You can see more of my work on my BLOG. Hello, it’s Liz here on this Sentimental Saturday. 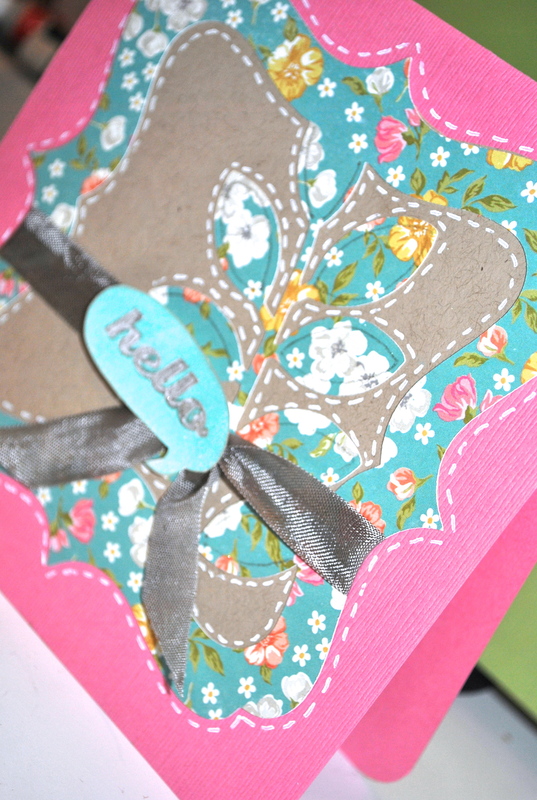 Today I have a simple Hello card made from the Art Philosophy cartridge. 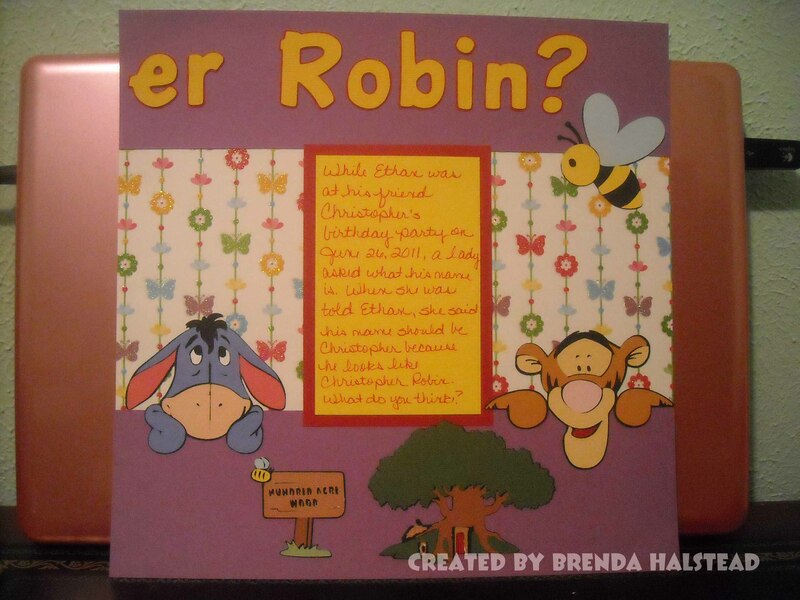 The base is 6″x12″ Bazzill card stock folded in half . The card image is on page 43. I cut the <square3> at 5.5″ out of kraft cardstock and the decorative layer (shift) I cut out of this pretty paper from the Simple Stories 6×6 pad called Vintage Bliss. The sheet I used is called Smile Big. I used the corner chomper to round the corners. I wrapped some seam binding around the whole piece and I stamped the Hello and cut it out by hand and I used a glitter pen to color in the hello and I used foam dots to give it a pop. I stitched around with my favorite white pen, the Uni-Ball Signo white pen. Thanks for stopping by today, wishing you a wonderful weekend.